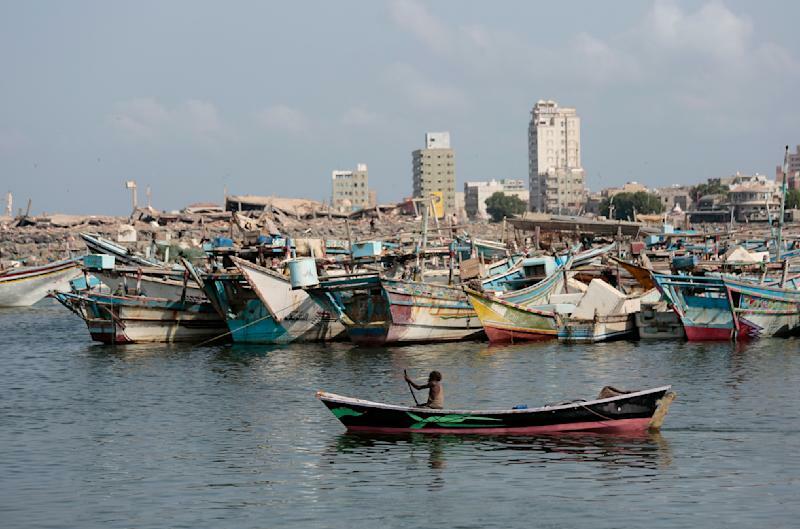 CAIRO (AP) — Aid groups warned of the plight of civilians in Yemen's contested Hodeida where casualties are mounting as a Saudi-led coalition is fighting to take the port city from the country's Shiite rebels. Amnesty urged the warring sides to protect civilians. It said that the coalition, which relies heavily on air power, has killed scores of civilians in recent airstrikes, and rebels are responding with mortars in residential neighborhoods that cause indiscriminate casualties. In recent days, fighting intensified with troops trained by the United Arab Emirates, a coalition member, advanced in eastern Hodeida, pushing toward the city's port and key Red Sea facilities, some 5 kilometers (3 miles) away. The Saudi-backed Yemeni President Abed Rabbo Mansour Hadi appointed a new defense minister to fill a role that had been empty for several years, naming Mohammed al-Maqdishi for the post, according to the state SABA news agency late Wednesday. He also appointed Abdullah al-Nakhi as the new chief of staff, the agency reported.